Since the last months of 2013 Nike have delivered a wonderful stream of new colourways for their four main boot silo’s. This has however been far from a coincidence. With the 2014 World Cup just around the corner, there is plenty reason to let the colours flow. If you thought you had seen the last of Nike, then you would be gravely mistaken, as we today help welcome the newest colourway of the Nike Hypervenom. Nike have already greeted summer with their summer-collection in March of this year. Now they are ready for the looming World Cup, with their World Cup-collection, which we will see on the feet of the many stars in Brazil. And when considering how many cool colourways we have already seen, it is impressive how the Nike design team can continue to wow us with more exciting combinations. Nike have invited us to a grand launch event in Madrid, so while we wait for that to kick-off, where the presentation of the brand new Mercurial will commence, we will take a look at this little appetiser. 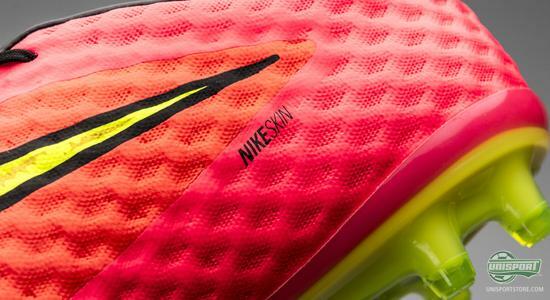 The new Hypervenom is full of sharp and eye-catching colours, which in many ways bears resemblance to the newly released Magista Obra. 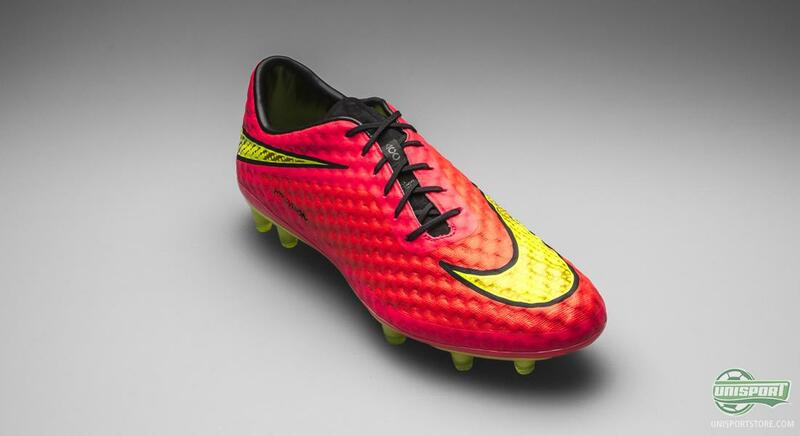 The new Nike Hypervenom Bright Crimson/Volt/Black can be pre-ordered from the 12th of June. Since the Hypervenom replaced the Total90-collection last year, it has taken the world by storm and the popularity is only going one way up and that is upwards. 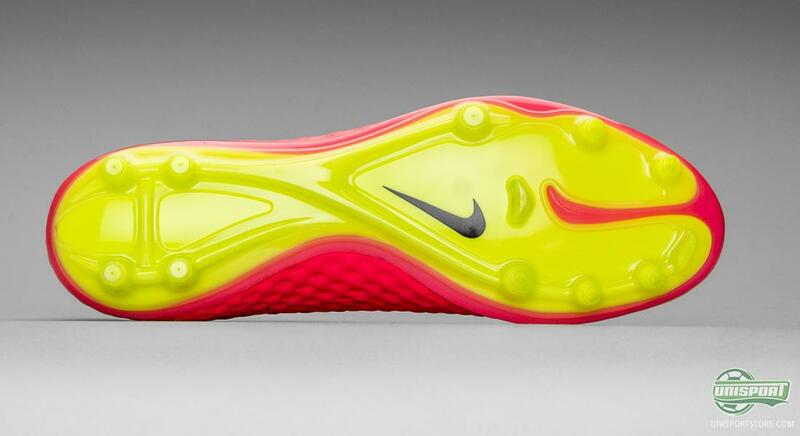 This is probably also why Nike have been so happy to reward the many Hypervenom-fans with excellent new colourways. 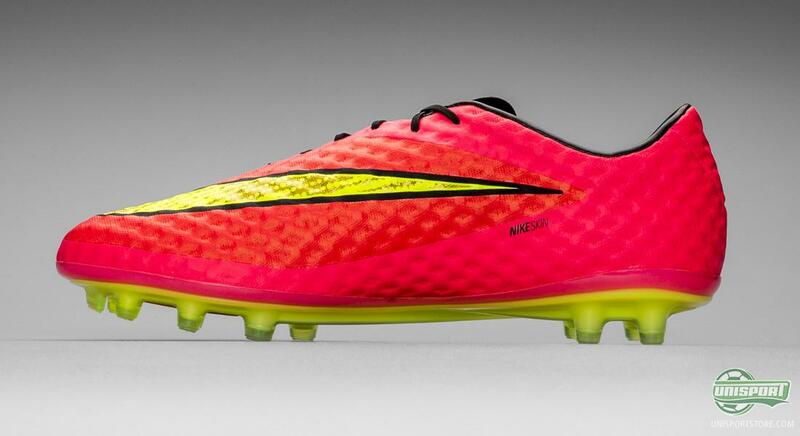 The new Bright Crimson/Volt/Black boot certainly stands out, when compared to the toned down version we saw last. 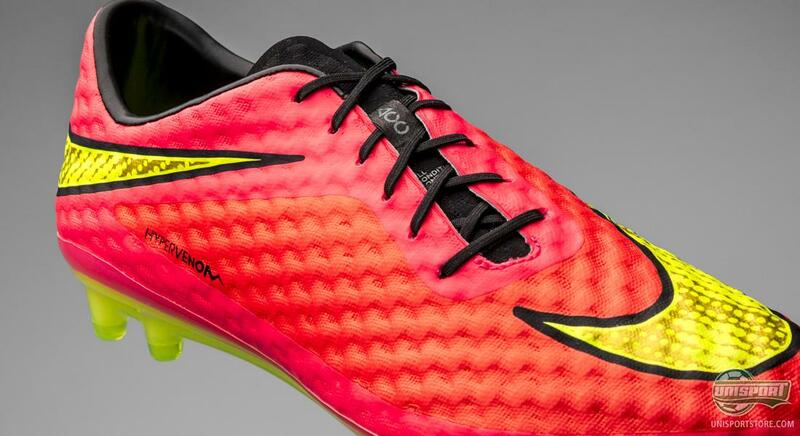 While the Hypervenom keeps coming out in several new colourways, the boot itself is still the same across the board. 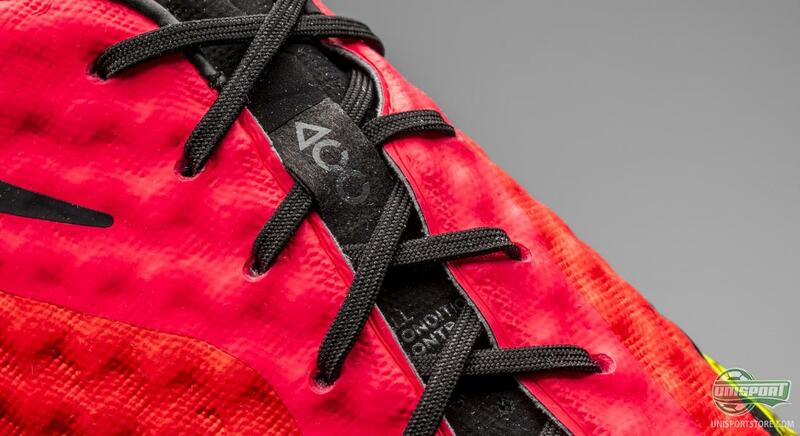 One of the reasons the Hypervenom has one so many hearts is, among many things, the anatomical GF13 last. It has a unique ability to adapt to many different type of feet and the boot is therefore a great fit, for many different foot shapes. 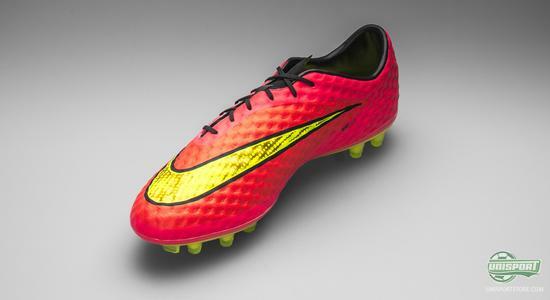 Nike developed their Hypervenom with the lethal strikers in mind. The boot is therefore built with four elements in mind: Fit, Touch, Traction and Design. 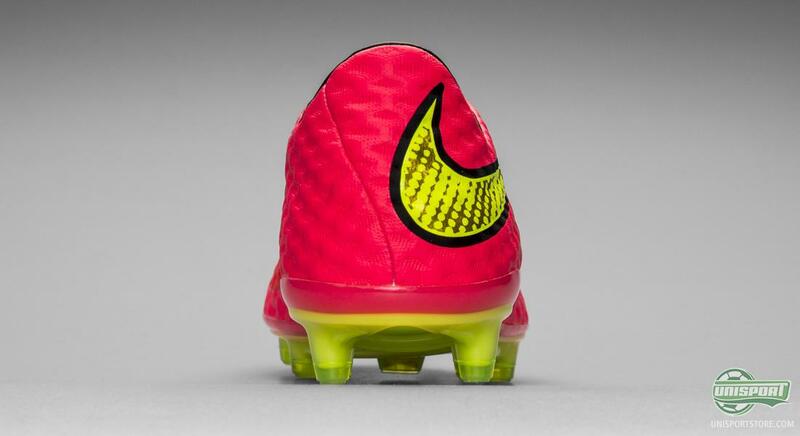 Fit is ensured thanks to the GF13 last, which is also used on the brand new Magista Obra. Touch comes thanks to the NikeSkin and the unique design with small dimples, which create increased friction between the boot and ball. At the same time the upper is made with Nike’s ACC (All Conditions Control), which gives consistent grip, regardless of bad weather. 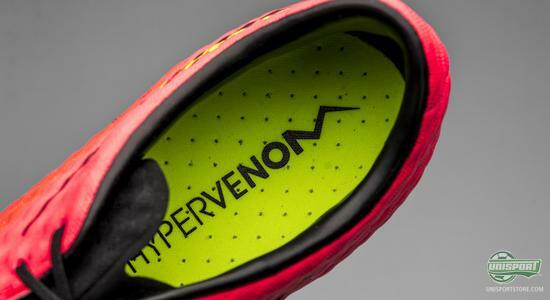 Traction translates to the stud-configuration, which on the Hypervenom is completely unique. The typical striker often gets in situations, where he needs to make quick and agile twists and turns. 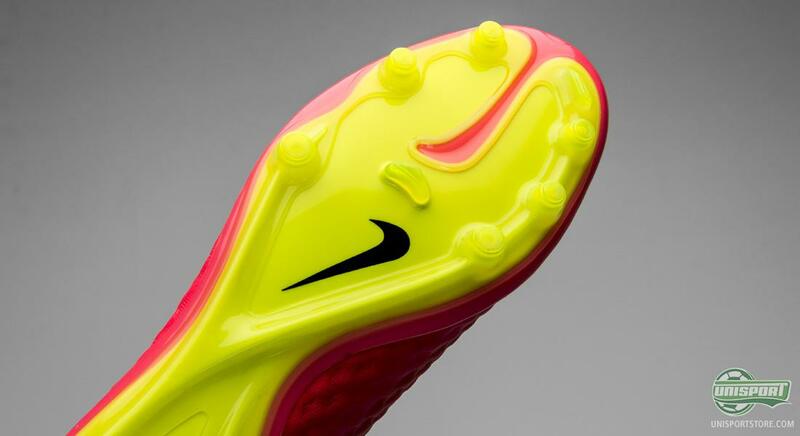 Therefore Nike have created a stud-configuration, where the big toe is separate from the rest of the sole. This means the energy is transferred quicker and your kick-off is more explosive. Last on the list is design and well that speaks for itself. 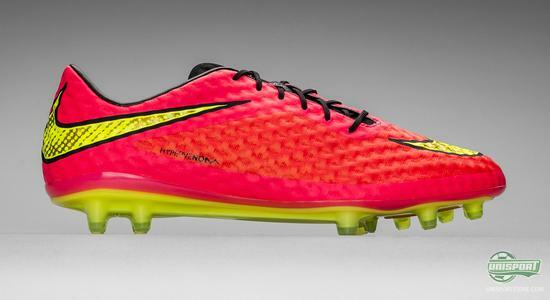 The Hypervenom-collection really lets the player express himself in his own personal way. The interesting part about the Hypervenom is that even though it is made with a focus on strikers, it works all around the pitch and when it comes down to it, it works brilliantly, regardless of you being a striker, midfielder, defender, or goalkeeper; the Hypervenom will deliver! 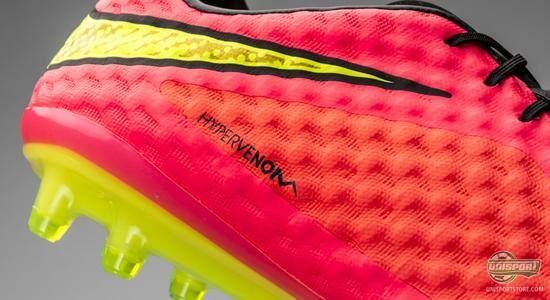 Nike’s Hypervenom has just been presented in a new colourway and if you thought the previous version was just a little too boring, then Nike are back with a bang. The newest Hypervenom makes up one fourth of the Nike World Cup-collection, which many of Nike’s biggest stars will wear during this year’s World Cup. What do you think about the newest colour combination? Do you love the flashy colours? We would love to hear from you in the comment-section down below, or on Twitter and Facebook.